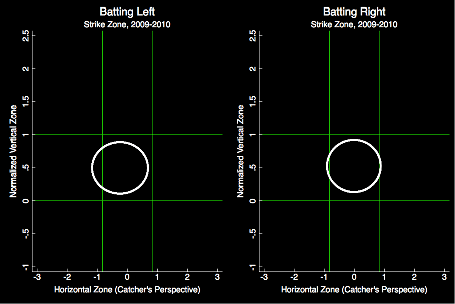 The fourth installment of my series on strike zone analysis went up today at Beyond the Box Score. Whether or not a pitch is favorably, fairly or unfavorably called is dependent on the characteristics of the pitch and the context in which it is thrown. As it turns out, one of the most important factors is batter handedness. Continue reading at Beyond the Box Score.